We recently undertook an Engineers Report on a property in Kenley following concerns that wee raised in a Mortgage Valuation Report. 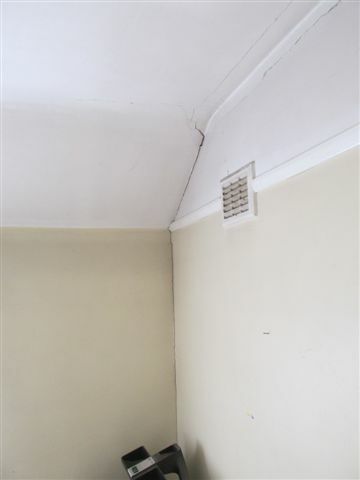 The pictures show a timber framed roof which is characterised by the ceiling joists being set above the wall plates, creating sloping soffits or skeilings. 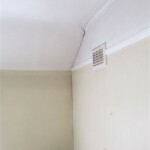 With this type of roof structure movement can occur, causing either horizontal cracking or tapered cracks where the top of the wall gets pushed out by the roof thrust from rafters and the rafters consequently deflect. 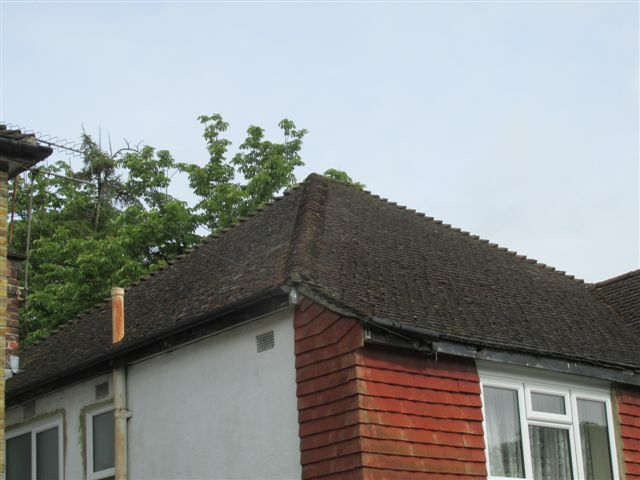 Roof thrust is a condition which can affect properties which are built with a collared roof. In this example, the roof timbers were mostly undersized and although the movement is slight the roof will require strengthening. 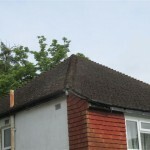 Other signs to look out for include deflection or dishing of the roof slopes.